In order to build a strong yet flexible Japan, it is essential to create a society that values the participation of all types of people, including women and foreigners, in addition to men. A wide range of efforts are currently being undertaken in Japan to realize a gender-equal society. As a positive action aimed at promoting gender equality, the National University Corporation has been requested to achieve a 17% ratio of female researchers by the end of fiscal year 2015. Furthermore, the government is working to promote a 30% ratio of women in leadership positions across all fields of society by the year 2020. In 2007, Gunma University opened the Yumenoko Day Nursery as an on-site child care center at the Gunma University Hospital at Showa Campus. The facility is staffed by hospital personnel and graduate students to provide child care support. Efforts are also being made to support female doctors returning to work after leaving for maternity reasons, particularly at the Medical Education Center. However, there have not been any significant developments at the Aramaki Campus or Kiryu Campus in terms of specific efforts. 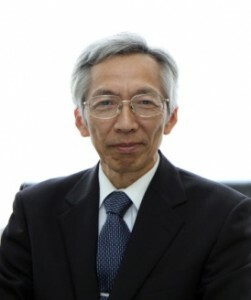 Against such a backdrop, under the leadership of former University President Takata in 2013, we formulated the Basic Plan for Gender Equality Promotion at Gunma University and established the Gender Equality Office with the aim of contributing to the achievement of a gender-equal society. Furthermore, the Mayudama Plan, which has a project period of three years, was proposed for the Ministry of Education, Culture, Sports, Science and Technology’s Program to Support the Activities of Female Researchers (General), which aims to realize a gender-equal society and support the major life events of female researchers, such as giving birth, raising children, and caring for family. The plan was adopted, and its implementation was immediately set into motion. Under this plan, each campus considers the challenges facing their female researchers, and takes advantage of the particular characteristics of their campus to establish a support system that enables female researchers to continue working comfortably and actively. In addition, the plan aims to help female researchers expand their local networks and further their advancement. It has been over a year and a half since the full-scale launch of this project. The Gender Equality Office has established a strong presence and plays an important role in the support of female researchers experiencing major life events, by providing research support personnel, lifestyle support counseling, and various seminars that foster the advancement of research. In addition, our efforts have led to an increase in the ratio of female researchers, from 14% (in FY2012) to 16% (in FY2014). Moving forward, we plan to further expand the activities of the Gender Equality Office and not only increase the number of female researchers, but also equip them to use their abilities so that they can make increasingly greater contributions to society. Although the project is scheduled to end this fiscal year, the Gender Equality Office is an extremely important undertaking for the university. Even after the termination of support from the Ministry of Education, Culture, Sports, Science and Technology, this project needs to remain a high-priority operation of the university. In the future, I hope that we can strengthen our partnerships with local governments and other universities, and work to expand the range of support.